Intense fighting continues in east Ukraine as Lieutenant General Ben Hodges, the US commander of US forces in Europe, claims Russia provided drones to the pro-Russian separatists in east Ukraine. 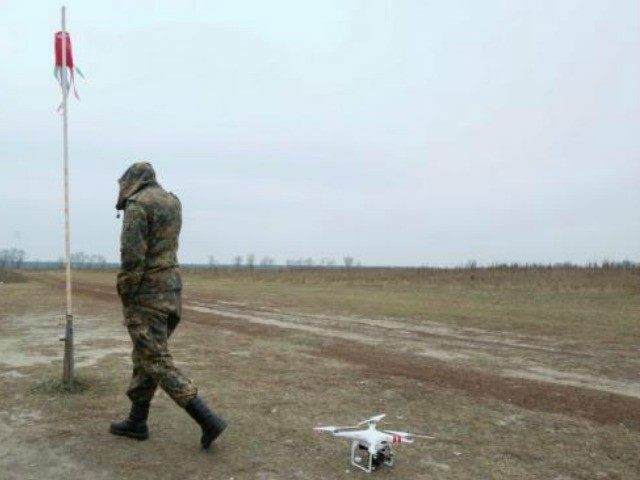 These drones are obstructing Ukraine’s communications with troops on the ground. The drones also allow the militants to “pinpoint the location of Ukrainian troops” and direct missiles at them. As Christopher Miller at Mashable points out, the war in east Ukraine exploded in January after a quiet December. Seven civilians died in Debaltseve, which is 45 miles northeast of Donetsk, after shells exploded in their homes. On Friday, at least 14 civilians died in a humanitarian aid line after a Russian shell hit nearby. Another shell killed two people as they waited to take a bus to leave town and five others died from artillery fire. Last week, separatists killed 30 and wounded 102 people in Mariupol, an important port city. Rockets launched from GRAD missile systems hit a crowded market. On January 20, Prime Minister Arseniy Yatsenyuk confirmed more Russian forces entered Ukraine after he spoke with the National Security and Defense Council.